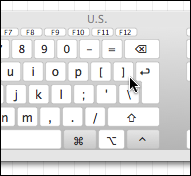 The fundamental problem is that Apple’s engineers choose keyboard shortcuts based in part on the positions of the keys involved on the U.S. keyboard layout, and apparently they don’t always bother to make sure that these shortcuts make sense or are at least usable in other keyboard layouts. 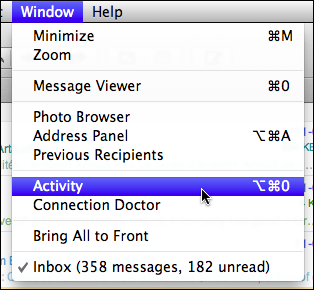 In previous versions of Mail, the shortcut for toggling the visibility of the “Activity” window was simply command-0. Now, in Lion’s Mail, it’s option-command-0. On a Canadian CSA keyboard layout, option-command-0 and option-command-] are the exact same shortcut. And of course, in Mac OS X, when two menu items have the same shortcut, the one that takes precedence is the one farther to the right in the menu bar — in this case the “Activity” command, which is in the “Window” menu. 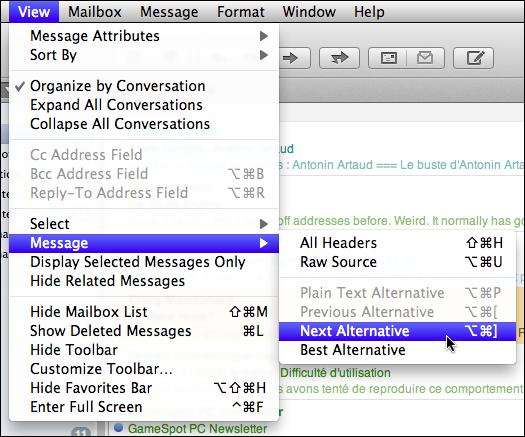 And so, on the Canadian CSA keyboard layout, the default shortcut for “Next Alternative” no longer works. It works perfectly well, and with Keyboard Maestro I know that my customizations are in safe hands. This entry was posted by Pierre Igot on Monday, August 22nd, 2011 at 9:06 am	and is filed under Mail. You can follow any responses to this entry through the RSS 2.0 feed. Responses are currently closed, but you can trackback from your own site.